Simone Ardagh, Effective Intelligence Customer Engagement Connoisseur and Evangelist, says that a new era of marketing has arrived – out with personalised, in with INDIVIDUALISED. She shares her tips on how to truly understand individual customer insights for increased retention. 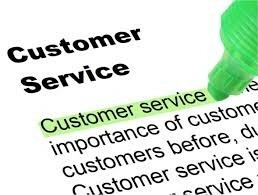 Having customers, especially loyal ones, is not a given these days. Competition for wallet share is fierce, therefore, being thankful for the ones you do have and working hard at retaining them may be the best strategy of all. Companies who lose valuable customers find it very difficult to distinguish whether or not they need to deploy loyalty or retention strategies. To decide which would be best for your business can be very hard to do if you’re not constantly monitoring what your customers think and say about you. Misunderstanding how they feel about your brand is a definite way to fail when it comes to retaining your customers. So you might think you know, but do you really know? In my experience, a large majority of the companies I work with claim to understand the individual customer at any given point in their lifecycle, but less than 5% of their existing customer base agreed with them. Reality check needed – pronto! To avoid misunderstanding customers, you want to focus more on actual customer behaviour and less on what you assume customers are going to do. Businesses need to start paying attention to understanding their customer base (internal) and knowing where they need to improve and what opportunities exist (external). · Objective: How do I further grow revenue from my existing customer base? · Numbers: How will I measure my results? · Focus: Who do I target and where can I maximise opportunities for further growth? · Money: How much will I spend? · Action: Do I want to change customer behaviour, encourage more of the current behaviour or introduce a new behaviour altogether? · Time: How quickly can this be executed? 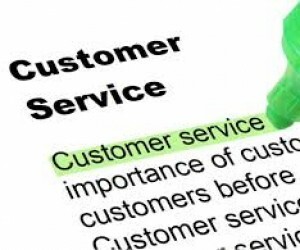 The bottom line (literally and figuratively) is that the customers’ success is your success. The end goal is profitability – and like revenue growth, customer retention is a journey, not a destination.